Each student will master Claudia’s “Perfect Placement” technique for fearless multi-hooping! 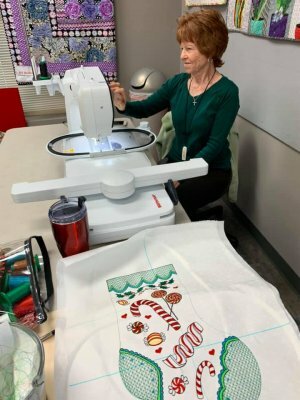 If you are a new Bernina embroiderer, this is the best way for you to learn all the bells and whistles of your machine!! In addition, you'll learn all her tips and techniques for perfect embroidery and perfect placement! 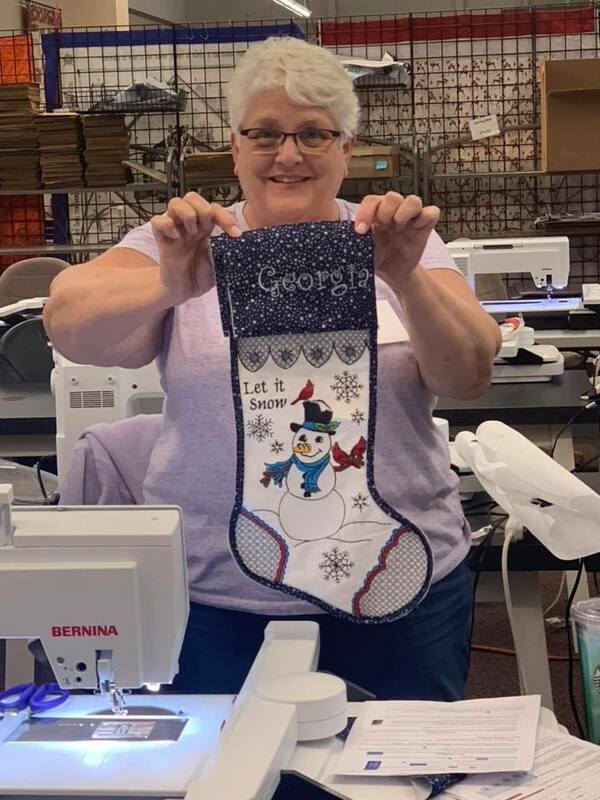 Attendees will receive all 8 stocking designs the morning of class from Claudia Dinnell, the cost for all of the designs is $80.00 and must be paid the day of class. Minimum 8" x 12" Hoop Size (BERNINA Maxi or Jumbo Hoops only) Confident Beginner with the basic understanding of embroidery and their machine. Price Includes 1 day instruction with Claudia Dinnell as well as a light lunch. Stocking Designs are an additional $80, to be paid the day of class.